(1) Yaping Wang, Huanhuan Li*, Min Chen*, Xiaoliang Yang, Deli Jiang, Synthesis and electrochemical performance of LiFePO4/C cathode materials from Fe2O3 for high-power lithium-ion batteries, Ionics, 2017, 23, pp377–384. (2) Ya-Ping Wang, Xiao-Ying Li, Huan-Huan Li*, Hou-Zhong Zhang, Heng-Yu Sun, Qi Guo,Han Li, Zheng Niu, A novel 3D Nd(III)metal-organic frameworks based on furan-2,5-dicarboxylic acid exhibits new topology and rare near-infrared luminescence property, Inorg. Chem. Commun., 2016, 70, pp 27–30. (3) Huanhuan Li, Ruyu Xu, Yaping Wang*, Binbin Qian, Hongbo Wang, Long Chen, Haobin Jiang, Yulu Yanga, Yiyun Xua, In situ synthesis of hierarchical mesoporous Fe3O4@C nanowires derived from coordination polymers for high-performance lithium-ion batteries, RSC Adv., 2014, 4, pp 51960–51965. (4) Yaping Wang, Binbin Qian, Huanhuan Li*, Liang Liu, Long Chen, Haobin Jiang, VSe2/graphene nanocomposites as anode materials for lithium-ion batteries. Mater. Lett., 2015, 141, pp 35-38. (5) Yaping Wang, Yijing Wang*, Huanhuan Li*, Zongtao Liu, Lili Zhang, Haobin Jiang, Ming Zhou, Baojia Li, Naifei Ren, Facile synthesis of Co2P via the reduction of phosphate with KBH4 for nickel-based rechargeable batteries, J. Alloys Comp. 2015, 623, pp 140–145. (6) Huanhuan Li, Yi Chen, Long Chen, Haobin Jiang, Yaping Wang*, Hongbo Wang, Guochun Li, Yunxing Li, Yuan Yuan, Improved cycling and high rate performance of core-shell LiFe1/3Mn1/3Co1/3PO4/carbon nanocomposites for lithium-ion batteries: Effect of the carbon source, Electrochimica Acta, 2014, 143, pp 407-414. (7) Huanhuan Li, Yunxing Li, Long Chen, Haobin Jiang, Jinping Wei, Hongbo Wang, Yaping Wang*, Microwave assisted synthesis of core–shell LiFe1/3Mn1/3Co1/3PO4/C nanocomposite cathode for high-performance lithium-ion batteries J. Alloys Comp. 2014, 617, pp 154–159. (8) Huanhuan Li, Yaping Wang*, Xiaoliang Yang, Liang Liu, Long Chen, Jinping Wei*, Improved electrochemical performance of 5 V LiCoPO4 cathode materials via yttrium doping. Solid State Ionics 2014, 255, pp 84-88. (9) Huanhuan Li, Fei Yang*, Yaping Wang, Long Chen, Haobin Jiang, Crystal structure and electrochemical performance of La0.75Ce0.25Ni3.46Al0.17Mn0.04Co1.33 alloy for high-power-type 29 Ah Ni-MH battery, J Rare Earth. 2015, 33, pp 633–638. (10) Huan-Huan Li, Zheng Niu, Long Chen,* Hao-Bin Jiang, Ya-Ping Wang,* Peng Cheng, Three luminescent metal-organic frameworks constructed from trinuclear zinc(II) clusters and furan-2,5-dicarboxylate. CrystEngComm, 2015, 17, pp 5101–5109. (11) Huan-Huan Li, Han Li, Zheng Niu, Ya-PingWang,* Structural diversity of two novel Dy(III) metal-organic frameworks based on binuclear nodes with furan-2,5-dicarboxylic acid: Crystal structures and luminescent properties, Inorg. Chem. Commun. 2015, 55, 103–107. (12) Huanhuan Li, Wei Shi*, Kaina Zhao, Han Li, Yanmin Bin, Peng Cheng*. High Selective Sorption and Luminescent Sensing of Small Molecules Demonstrated in a Multifunctional Lanthanide Microporous Metal-Organic Framework Containing 1D Honeycomb-Type Channels. Chem.-Eur. J. 2013, 19(10), pp 3358-3365. (13) Huanhuan Li, Wei Shi*, Kaina Zhao, Zheng Niu, Xitong Chen and Peng Cheng*. A Robust Porous Metal-Organic Material with New Topology Structure Demonstrating Pronounced Porosity and High-Efficiency Sorption/Selectivity Properties of Small Molecules.Chem.-Eur. J. 2012, 18(18), pp 5715-5723. (14) Huanhuan Li, Wei Shi*, Kaina Zhao, Han Li, Yanmin Bin, Peng Cheng*. Enhanced Hydrostability in Ni-doped MOF-5. Inorg. Chem. 2012, 51(17) pp 9200−9207. (15) HuanHuan Li, Wei Shi*, Na Xu, Tian Han, Zheng Niu, Zhi Chen, Peng Cheng*. Structural Diversity of Four Metal-Organic Frameworks Based on Linear Homo/Heterotrinuclear Nodes with Furan-2,5-dicarboxylic Acid: Crystal Structures, Luminescent and Magnetic Properties. Cryst. Growth Des. 2012, 12(5), pp 2602-2612. (16) Huanhuan Li, Zheng Niu, Tian Han, ZhenJie Zhang, Wei Shi, Cheng Peng*. A microporous lanthanide metal-organic framework containing channels: Synthesis, structure, gas adsorption and magnetic properties. Sci. China. Chem. 2011, 54(9) pp 1423-1429. (17) H. H. Li, J. Jin, J. P. Wei*, Z. Zhou, J. Yan. Fast synthesis of core-shell LiCoPO4/C nanocomposite via microwave heating and its electrochemical Li intercalation performances. Electrochem. Commun. 2009, 11(1), pp 95-98. (19) Yaping Wang, Lili Zhang, Huanhuan Li, Yijing Wang*, Lifang Jiao, Huatang Yuan, Long Chen, Hua Tang, Xiaofei Yang Solid state synthesis of Fe2P nanoparticles as high-performance anode materials for nickel-based rechargeable batteries. J. Power Sources 2014, 253, pp 360-365. (20) Yaping Wang, Huanhuan Li, Yijing Wang,* Lifang Jiao, Huatang Yuan. Self-assembled Fe-B nanochains: facile synthesis, magnetic and electrochemical properties. Mater. Lett. 2014, 121, pp40-43. (21) J. Jin, H. H. Li, J. P. Wei*, X. K. Bian, Z. Zhou*, J. Yan. Li/LiFePO4 secondary batteries with room temperature ionic liquid as electrolyte. Electrochem. Commun. 2009, 11(7), pp 1500–1503. (22) Li-Min Zhao, Huan-Huan Li, Ying Wu, Shi-Yuan Zhang, Zhen-Jie Zhang, Wei Shi, Peng Cheng*, Dai-Zheng Liao, Shi-Ping Yan. Synthesis,CrystalStructures and Magnetic Properties of Mn(II), Co(II) and Zn(II) Coordination Polymers Containing 1,2,4,5-Benzenetetracarboxylic Acid and 4,4’-Azobispyridine. Eur. J. Inorg. Chem. 2010, 2010(13), pp 1983–1990. (23) Ping Cui, Yu-Guang Ma, Huan-Huan Li, Bin Zhao*, Jian-Rong Li, Peng Cheng, Perla B. Balbuena*, Hong-Cai Zhou.MultipointInteractionsEnhanced CO2 Uptake: A Zeolite-like Zinc-Tetrazole Framework with 24-Nuclear Zinc Cages. J. Am. Chem. Soc. 2012, 134(46), pp 18892-18895. 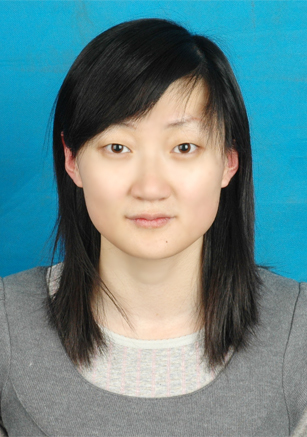 (24) M. Yang, J. X. Li, H. H. Li, L.W. Su, J. P. Wei, Z. Zhou*. Mesoporous slit-structured NiO for high-performance pseudocapacitors. Phys. Chem. Chem. Phys. 2012, 14(31), pp 11048-11052. (25) Yang Fei, Xiangcheng Kong, Zhu Wu, Huanhuan Li, V.K. Peterson. In Situ Neutron-Diffraction Studies on the Structure change of Ti34V32Cr16Mn18 alloy during Hydrogen Storage Process. J. Power Sources 2013, 241, pp355-358. (26) Zheng-Jie Zhang, Wei Shi*, Zheng Niu, Huan-Huan Li, Bin Zhao, Peng Cheng*, Dai-Zheng Liao and Shi-Ping Yan. A New Type of Polyhedron-based Metal-Organic Frameworks with Interpenetrating Cationic and Anionic Nets Demonstrating Ion Exchange, Adsorption and Luminescent Properties. Chem. Commun. 2011, 47(22), pp 6425-6427. (27) Liang Wen, Wei Shi*, Xitong Chen, Huanhuan Li, Peng Cheng*. A Porous Metal-Organic Framework Based on Triazoledicarboxylate Ligands-Synthesis, Structure, and Gas-Sorption Studies. Eur. J. Inorg. Chem. 2012, 2012(12), pp 3562-3568.